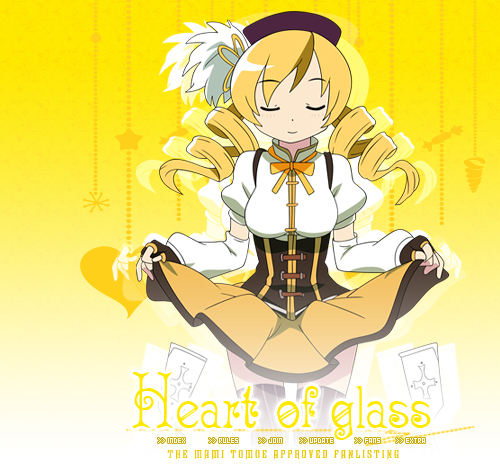 Mami is my favourite mahou shoujo from this series even if she's the one who has less screentime and less development. ♥ The title of this fanlisting has been inspired by the fact that Mami, despite being a big-sister-like figure for the other mahou shoujo, she has her own inner weaknesses.. but I can't say more because it would be huge spoiler >_>"
Mahou Shoujo Madoka☆Magica is created by Studio Shaft, all rights reserved. This is only a fansite and no infrangiments to those rights are intended. Layout is (c)Akira since April 19th, 2011. Do not reproduce without permission.